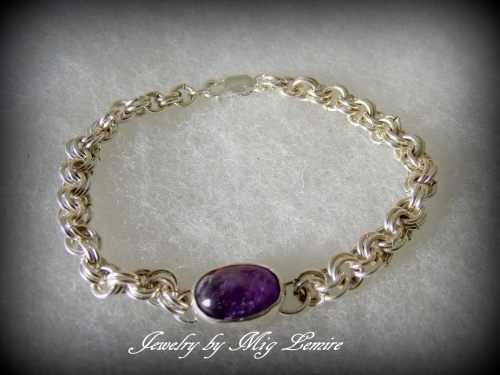 This beautiful chainmaille Amethyst gemstone bracelet once started as a spool of wire. I made rings with the wire and then wove them into the chain for this bracelet then, soldered the framework around the amethyst stone. Very comfortable to wear. Fits medium size wrist but if you prefer a longer or shorter size please specify when ordering.